A pensive Alf Goulding with other members of the Pollard Lilliputian Opera Company on the steps of the Badminton Hotel in Vancouver in 1905. He is flanked by Harold Fraser (Snub Pollard) and Teddie McNamara. The full photo of the Pollard Company is on the Vancouver As It Was website. Photo used with their permission. 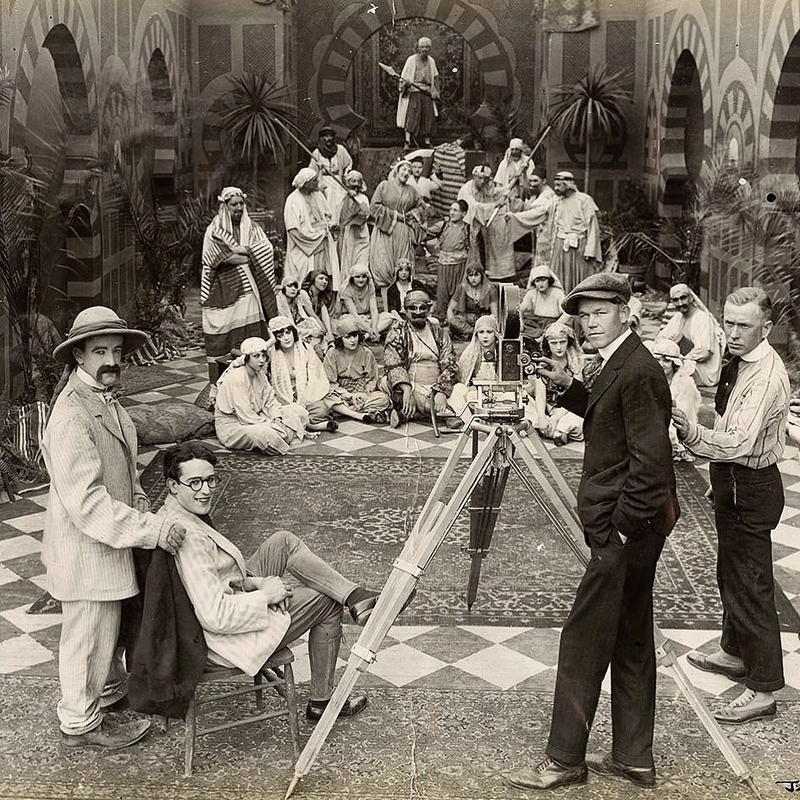 The adult working life of prolific Hollywood based filmmaker, Alf Goulding (born 26 January 1885), is well documented. He had an impressive output as a director – working first with Hal Roach and later Mack Sennett. By the time he made A Chump at Oxford (1939) with Laurel and Hardy, he had directed over 200 films, and had written and appeared in many others. There were of course, a few duds – including his only Australian film, A Yank in Australia (1942). It’s less commonly known that Goulding owed much to his long experience with the Pollard Lilliputian Opera Company, and that he was a Melbourne neighbour and long-time friend of Daphne Pollard (Trott) and Snub Pollard (Harold Fraser). Alf Goulding can be traced through at least six Pollard’s overseas tours (which all ran for more than 12 months) – something of a record – this writer can only one other Pollard’s performer who matches it – Irene Findlay. It’s hard to know if many people have ever really run away “to join the circus”, but Alf Goulding is indeed a variation on this. Between the age of eleven, when he went on his first Pollard’s tour, and twenty-four, when he left to settle in the US, he could not have spent more than 24 months living in Melbourne. Goulding’s place of birth was the suburb of Richmond, but he lived most of his brief Australian life in Fitzroy. His father Frank, a bootmaker, and mother Maggie (stage name Maggie Walsh) were both involved in local Melbourne theatre, with moderate success. Alf’s half-sister from his mother’s first marriage, Elsa Goulding (sometimes known as Elsie Golding), had gained some reputation as a singer by 1893 and, determined to maintain the family tradition, Frank encouraged his oldest son Frank junior, Alf and later his youngest daughter Irene to go on stage. By the time of Maggie’s death in April 1895, Frank junior and Alf had developed a popular act together. Reports from papers in 1894 and 1895 stated that the brothers had the Melbourne audiences in “roars of laughter”. Left: The white terrace house at 431 George Street, Fitzroy photographed in 2019. The Goulding family lived here in 1895. Photo – Author’s collection. Right: Photos of Alf in his early days are hard to find. This photo, now in the public domain, is from c.1905-10 and its original source is unknown. Via wikimedia commons. Unfortunately a terrible tragedy occurred when Frank junior died of pneumonia and was buried in Calcutta, in January 1897. We can only imagine how hard this was for Alf, still on tour, let alone his father and sister back in Melbourne. Frank Junior’s death is reported by “The Singapore Free Press and Mercantile Advertiser”, 23 Feb 1897, via Newspapers SG – digitized newspaper collection. Yet two months later, on April 20, 1897, the same Singapore newspaper reported; “Master Alfred Goulding scored the principal success again, this clever boy keeping the house in fits of laughter… In the part of Lurcher, the bailiff…his acting could not easily have been beaten by a professional comedian.” Of course, Alf was a professional comedian – even if he was only 13 years old at the time. In August 1898, a second Pollard’s troupe, including Alf and now with Irene, arrived in South Africa. Interviewed in July 1899 by a correspondent for the “Sydney Referee“ , the children were probably all instructed to put a positive spin on their work, the endless travel and to not mention their homesickness. From Johannesburg, South Africa, the correspondent wrote of Alf Goulding, as “the clever young comedian of the company, aged 12 years” and Irene Goulding, “a bonny girl of 8 years.. who hadn’t been very well lately.” Pollard practice was very typically never to accurately give the ages of the child performers. Alf was in fact 14, and Irene 10. With the outbreak of the Boer War, Manager Charles Pollard apparently rushed the company to safety. But it seems he was in no hurry to bring them home – it was July 1900 before the children were all back in Australia, via Hong Kong and other stops in the “far east”, and Charles with exciting war stories to tell. How seriously at risk they were is impossible to tell now. Gillian Arrighi and others have written of the phenomenon of the child performer tours, and the later impact of the disastrous 1910 Pollard tour of India; which saw new Australian laws restricting children leaving Australia to be performers. It’s also worth pausing and looking past the modern nationalist sentiment we might attach to these pioneer Australian performers today, to wonder whether this was really just another form of child exploitation, even by the standards of the time. Above: Alf Goulding now listed as the Pollard’s stage manager by the “China Mail,” December 26, 1900. He was almost 16 and the troupe were perhaps on their way home from South Africa. Image via Hong Kong Public Libraries Multi Media Information Systems. We should also remember that the Pollard’s performers were playing adult roles on stage, a fact that some commentators found confronting, given the adult content of the musicals they performed. One correspondent for the Hong Kong Daily Press on December 27, 1907 reminded readers “Pollard’s Lilliputians are children, but their performance is anything but childish… That shrimp of a maiden …who portrays a woman many times divorced, how are we to regard her?” (in reference to a leading character in The Belle of New York). Yet at the end of their review, the writer felt the need to abandon their concerns and recommended all readers should see it. The Pollard’s performance was “beyond praise” the writer concluded. II. August 1898 – c. Dec 1900, Tour to South Africa and the Far East. IV. January 1903 – April 1904, Tour to North America. Manifests show SS Changsa departed Sydney 18 Jan 1903, SS Miowera arrived back in Australia on 2 April 1904. None of this travel seems to have bothered Alf Goulding, indeed he may well have had his own reasons for not wanting to live at home. Back in Melbourne, Frank Senior found the new century and the life without wife, children and oldest son increasingly hard to deal with. Now a bootmaker, he blamed the Pollard company management for the death of Frank Junior and began to send abusive letters to the Melbourne managers, even while they engaged Alf and Irene. He complained that the money promised to him by Pollard’s was not being paid. Frank had already been publicly embarrassed the year before, when details of his passionate letters to a sometime servant/petty thief were plastered about the Melbourne papers. Now in 1903, his stream of abusive letters saw him end up in court again, a lonely father, perhaps also disconnected from his two children. When he failed to pay the £20 fine, he went to gaol for a month. Returning to Australia on SS Miowera on 2 April 1904, Irene, now aged 15, apparently decided she had had enough of performing and touring. V. July 1904 – February 1907, Tour to the Far East and North America. Departed July 1904 for Queensland and then 27 September 1904 for Hong Kong. Arrived July 8 1905 in Vancouver. Arrived back in Australia 26 February 1907 on the SS Moana. 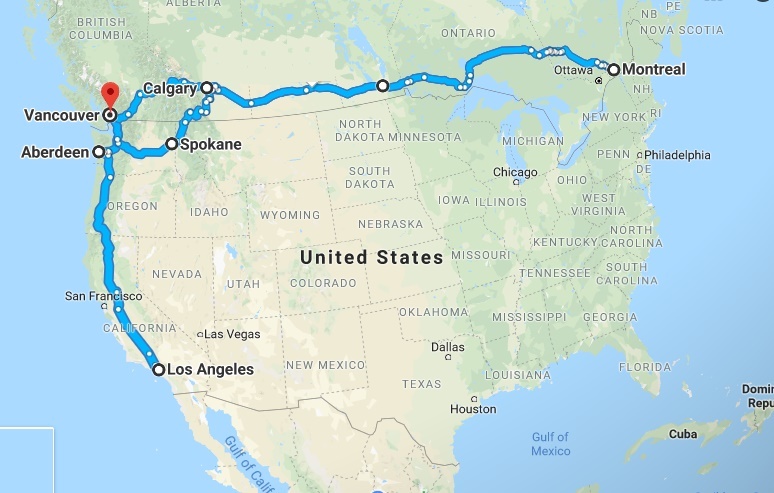 The Pollard Company’s “Grand Tour” of North America (March 1905- Jan 1907) avoided much time in US, with the notable exception of a quick detour to “test the reception” in the mid-west and a tour up and down the west coast. Courtesy Google Maps. Map 1 shows March – Nov 1905, eastwards across the US and Canada from Vancouver. Map 2 shows Nov 1905-Feb 1906, with the troupe retracing their steps and travelling westwards across Canada and south to California. Map 3 shows the troupe retracing their steps again, eastwards across Canada during 1906, and then returning to Vancouver by the start of 1907. Another trip departed in late July 1907, again testing out shows in Queensland before departing for the Far East. The Company arrived in the US on the SS Nippon Maru from Yokohama, Japan on 3 March, 1908. It appears most of the company from this tour arrived home in Australia on RMS Makura in April, 1909. 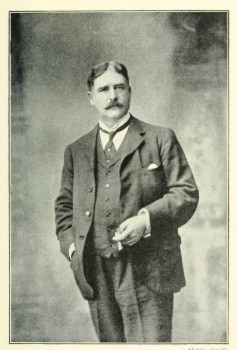 Charles Pollard announced his retirement in March 1909, while the company was in Honolulu, heading home. At this point, many of the older company members, including Alf, decided to branch out with their own Pollard’s Company (dropping Lilliputians from the title). With about 15 others, including Carrie Moore’s sisters Olive and Ivy, Harold Fraser and Teddie McNamara, a new adult Pollards troupe would be established. And indeed, through 1910, the group set off again back across Canada, with Alf as Actor – Director-Stage Manager. But instead of storming the US east coast as they planned, they again specialised in visiting all the familiar Pollard’s locations where their popularity was assured. But by 1914, the adult Pollard troupe had broken up, and for a time they went their separate ways. Alf Goulding appears to have maintained a personal and professional friendship with former Pollard Company performers for much of his life. In 1911, Alf was married to Gladys Watson, with Daphne (Mrs Ellington Bunch) and her husband as witnesses. 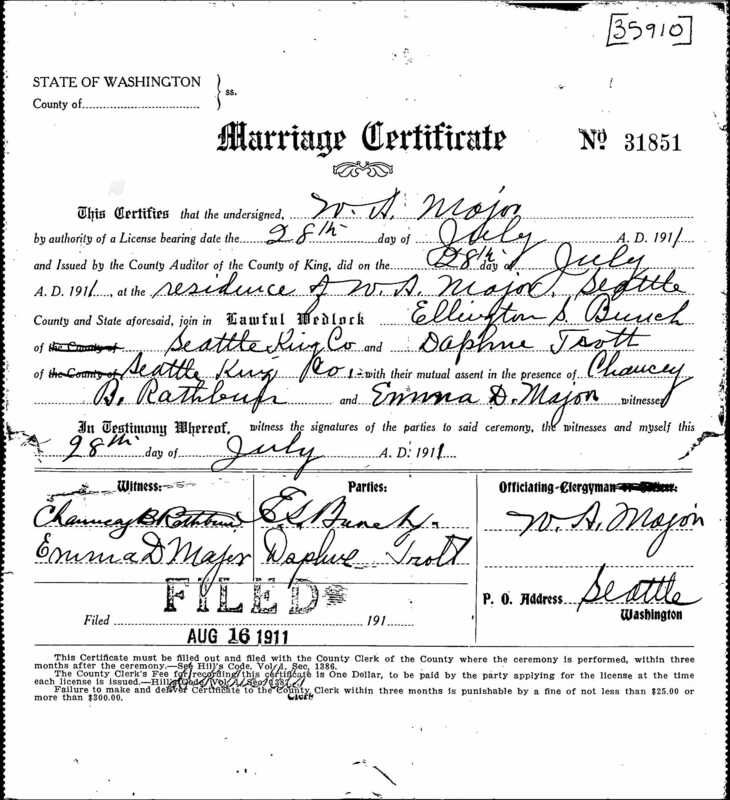 They were married in Seattle by the same official as Daphne and her husband had used, exactly three months before. Below: Marriage certificates for Daphne Trott and Alf Goulding weddings. US national archives via Family search.org. It is hardly a coincidence therefore that Goulding is reputed to have been instrumental in convincing Daphne to work for Mack Sennett, and he was apparently on hand when she arrived at Sennett studios. He also directed a number of her first films – including “Run Girl Run,” “The Swim Princess” and “The Campus Carmen”. He also worked closely with Harold Fraser in his early years in Hollywood. Left: This is the only photo I have seen of Goulding at work. It shows Snub Pollard (Harold Fraser), Harold Lloyd, and Alf Goulding at right, on the set of “Somewhere in Turkey” (1918) Source: Unknown – via Pinterest. Right: Advertisment for Rolin Comedies – Snub Pollard and Ernie Morrison, directed by Alf Goulding. Source: Wikimedia Commons. There was perhaps a real camaraderie amongst the old Pollard players. For Alf, the performers he knew had probably been family. When former Pollard alumni Teddie McNamara died of pneumonia in early February 1928, on the eve of great success, all the Hollywood based former Pollard players attended his funeral – Goulding, Daphne Pollard, Harry Fraser and Billy Bevan. Alf Goulding died in Hollywood in 1972, after a long and very well documented career as a screenwriter and director. The later career of the talented Irene Goulding is not clear, but it appears she may have worked in sales in Melbourne. She married Albert Smith in 1931, and lived most of her later life in a comfortable house in Riversdale Rd, Hawthorn. Gillian Arrighi (2017) The Controversial “Case of the Opera Children in the East”: Political Conflict between Popular Demand for Child Actors and Modernizing Cultural Policy on the Child. “Theatre Journal” No 69, 2017. John Hopkins University Press. Child Stars of the Stage; Gillian Arrighi, National Library of Australia. A COMPLAINT DISMISSED.The Herald (Melbourne, Vic. : 1861 – 1954) Tuesday 8 April 1902 p1. VINDICTIVE POST CARDS.The Age (Melbourne, Vic. : 1854 – 1954) Thursday 7 May 1903 p8. Harold Fraser, aka “Snub Pollard” photographed without makeup about the time he returned to Australia to see his parents, c 1922. Press photographer unknown. Damaged photo in the author’s collection. “Snub Pollard” was born Harold Hopetown Fraser in North Melbourne on November 9, 1889. According to the Internet Movie Database he has a staggering 600 US movie and TV credits to his name, although his most active years were the 1910s and 1920s when he appeared in numerous comedy “shorts”. Even if his later roles were little more than walk-ons, it is an impressive record for a working class boy from the inner suburb of North Melbourne. “Snub Pollard” in the mid 1920s, in his usual Hollywood make-up, including characteristic “walrus” moustache. His expression was usually “deadpan.” This persona was developed in Hollywood but may have some origins in his on-stage experiences. Photo via Internet Movie Database. Harold’s father, George Gunn Fraser, was a horse-drawn (handsom) cab driver. Museum Victoria reminds us there were over 200 registered handsom cabs in Melbourne in 1899. His mother, Isabella (nee Elliot) had already had three children when Harold was born in their modest terrace home at 59 Courtney Street, North Melbourne. Another daughter, May Evelyn Fraser, was born in 1892. Above: Snub Pollard’s birthplace – 59 Courtney Street, North Melbourne in 2019. The house (centre left) was almost certainly too small for the family and may not have suited George’s cab driving needs. Author’s collection. By 1905, the Fraser family lived at 71 Leveson Street, North Melbourne. The cobbled lane (Jones Lane) beside the house may have provided better access for a cab driver. George’s horse and cab would have been kept nearby – perhaps in stables off the lane. In the distance is the North Melbourne Town Hall spire. Author’s collection. Of his childhood and schooling we know little, but this is partly because in mid 1904, at the age of about fifteen, he and his younger sister May joined Pollard’s Lilliputian Opera Company in time for another of their marathon performance tours – first to Queensland, then the “far east” (performance stops in Hong Kong and Japan) and finally North America. Years later, he was to suggest he had been picked out of a church choir by one of the Pollards. The Pollard’s program for performance of the popular musical “A Gaiety Girl” in Montreal, 29 November 1905. It features May and Harold Fraser in addition to Daphne Pollard, Alf Goulding and other well known Pollard performers. The ages of performers were deliberately under-stated. Program in the author’s collection. The Pollard Lilliputian Opera Company tour Harold and May joined was organised by Charles Pollard and his sister Nellie Chester, who had managed several previous tours of North America. It is hard to believe, but this writer can find no evidence that this troupe returned home before February 1907 – apparently a performance tour outside Australia of two years. Even if the performers were not as young as claimed (Harold was 16, not 12, while Daphne Pollard was 14, not 10), it was an extraordinary undertaking for children at the time. 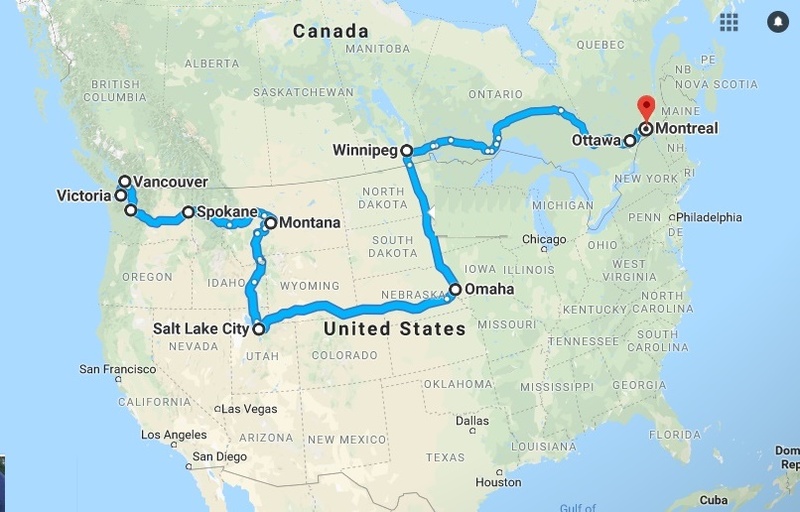 Their tour of North America took them up and down the US East coast several times, and across most of Canada. The SS Moana brought most of them home in late February 1907. By July 1907, the company, featuring Harold Fraser and many of the familiar Pollard performers, were back in Queensland performing and testing the usual favourite shows. Then the company departed again for the “far east,” Canada and the west coast of the USA. In early 1909, at the end of this very long tour, Charles Pollard announced his retirement and some of the older performers, including Harold Fraser and Alf Goulding, decided to form their own “adult” Pollard’s group. They seem to have stayed together for a year or so, then drifted apart – although the evidence suggests they remained on good terms. Left: In 1910, Harold Fraser performed with some of the former Pollard’s Lilliputians, now adults, and now just calling themselves “the Pollards” in the US. Alfred Pollard may be Alf Goulding. Source; The Bakersfield Californian, November 1910. Via Newspapers.com. Right: Ten years later. 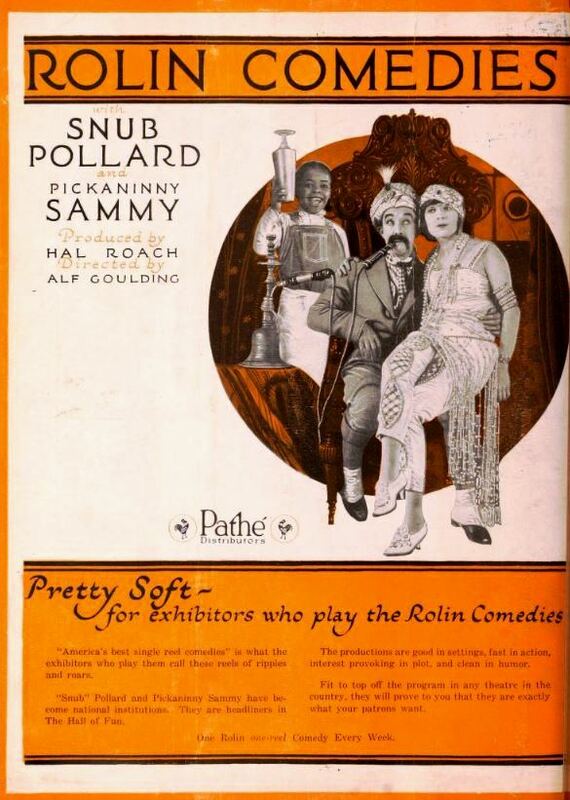 An ad for Rolin Comedies with Snub Pollard and Ernie Morrison (“Pickaninny Sammy”), August 7, 1920 “Exhibitors Herald”. The ad from the Exhibitors Herald (Aug 7, 1920) shows a still from “Insulting the Sultan” (1920) which starred Pollard, Ernie Morrison, and Marie Mosquini, and was directed by old friend Alf Goulding. Via Wikimedia Commons. The accounts of his entry into Hollywood’s emerging film industry vary considerably. Known in his early years as “Harry Pollard” (an unfortunate choice because actor-director Harry A. Pollard was already well established), film fans today delight in identifying him as an extra in some of the early films of Ben Turpin and Charlie Chaplin. However, the most plausible account of his entry into film-making was also the most simple, an explanation he gave to Table Talk in 1923, on a return visit to Melbourne rings true; “I just naturally drifted into them…I don’t exactly know how.” Harold’s background in vaudeville and his friendships with emerging filmmakers like Alf Goulding almost certainly helped. But the “Lonesome Luke” films made for Hal Roach between 1915 and 1917, where he played second fiddle to Harold Lloyd, helped establish him as a bankable and recognizable star. Although he had used the stage name “Snub” as early as 1915, it is from about 1917 that he adopted it consistently. This also coincides with his most prolific years – 1917 to 1924. The classic short “It’s A Gift” (watch it here) was made in 1923. His work output had already declined by the time talkies arrived, but he was still able to find supporting character and extra parts, generally of increasing insignificance. He remained busy almost until his death in 1962. During this final phase of his career – Harold displayed the skills of an unusually effective self-promoter, clearly intending to maintain his personal profile no matter what. However, its difficult to see his later film roles as professionally very rewarding. Even his cameo performance made no difference to the underwhelming 1934 Bushranger musical, “Stingaree”, (also featuring fellow Australians Billy Bevan and Robert Greig). Left: Snub complains about Hollywood humour. Corsicana Daily Sun 14 May, 1957. Via Newspapers.com. Harold Fraser remains much of an enigma to the student of cinema today. As an adult and without makeup he was average in every way – he weighed about 150 pounds, stood an average height of 167 centimeters (5 foot 6 inches), had receding brown hair and brown eyes. Interestingly, he had a tattoo on his right upper arm – although what it was or said is now unknown. It was noticeable enough to be listed on his citizenship documents. In his public commentary he did not assist any real understanding of himself, his comments were designed to promote “Snub Pollard” the star rather than reveal much about the man behind. Snub Pollard’s voice. From “Just My Luck” (1935). Here Mr Smith (Snub Pollard/Harold Fraser) and Homer Crow (Charles Ray) discover they have lost their money, whilst eating at a cheap diner famous for beating up any non-paying customers. He appears to be channelling Stan Laurel. Video in the author’s collection. Yet unlike many Australian performers of the time, Harold Fraser undertook the long sea voyage home to see his family, and he did it at the height of his popularity. In March and April 1923 he visited Melbourne, whilst on his honeymoon with Elizabeth, his second wife. He visited his parents – his father still driving a cab. He travelled to Portarlington to see his older brother George, a blacksmith. In the early 1920s, Harold also paid for his mother to travel to California to see him. Left: About the time of Harold’s return visit in 1923, his parents moved into this house at 83 Palmerston Street, Carlton. It is interesting to speculate whether Harold purchased it for them. The ornamental parapet on this 1880s cottage is highly unusual and appears to be a later addition – perhaps dating to a renovation in the 1920s. This writer cannot think of another inner Melbourne terrace decorated this way. Is it the “Spanish style” more often found in Hollywood? Author’s Collection. Right: Harold Fraser aka “Snub” Pollard, at the time of his visit home to Melbourne. Author’s Collection. Harold married three times – each ended unhappily. He married 17-year-old Myrtle Webb in April 1917 – he claimed to be 23 – but he was in fact 28. Within a matter of months the relationship had ended. He married Elizabeth Bowen in March 1922, claiming to be 30 – when he was now 33. This marriage also broke down and ended in divorce in 1927. In 1935 he married again, this time to Ruth Bridges aka Gibson. He was 46 by this time, but registered his age as 38. This relationship was also over by 1940. One error in age on a marriage certificate seems understandable. But the same error existing in all three marriage certificates perhaps points to other problems of identity and sense of self. Or, is it just a case of “everyone does it”? Snub Pollard on set with Hal Roach Studio co-star Marie Mosquini. In March 1922 it was reported they were engaged. They weren’t. The stories about Snub became more inaccurate after his death from cancer in 1962. Brother of Daphne? An original Keystone Kop? No. But some newspapers reported so. Harold’s mother died in Carlton in 1930, his father (a cabman to the end of his days) died ten years later. Harold’s sister May did not stay on stage. She returned to the family home in Leveson Street and became a dressmaker. In 1920 she married Claude Hill and moved to a comfortable house in Merton Street, South Melbourne. She died there in 1966. 1. An original Keystone Kop? Mack Sennett repeated the gag of 6 or 7 incompetent policemen in numerous short comedies, through to the early 1920s. We know the names of these performers, and Harold Fraser wasn’t one of them. The confusion almost certainly came about because in 1939’s “Hollywood Cavalcade” C20th Fox’s film about silent film-making, Harold did act as a Keystone Kop. He also appeared as a policeman in several early comedies. On his death, several of the real surviving Kops gently attempted to correct the record and pointed out that in the early days, Harold had worked for Hal Roach, not Mack Sennett. (see Los Angeles Times, 24 Jan 1962). But the story has persisted anyway. 2. Origins of the stage name Snub? While we know why he chose Pollard as a stage name, the significance of Snub and the later, lesser used “Peewee,” as stage names is unclear. If you have any ideas please contact the author. When George and Isabella married in Dunedin, New Zealand in 1881, they gave their professions as jockey and barmaid respectively. Eight years later, George Gunn Fraser’s occupation is listed on young Harold’s 1889 birth certificate as a cab driver. Australian electoral rolls to the late 1920s also list him variously as a cab driver, cab proprietor and wagonette proprietor. Of course, he may still have been a racehorse owner as well. Peter Downes (2002) The Pollards, a family and its child and adult opera companies in New Zealand and Australia, 1880-1910. Steele Roberts, New Zealand. Kirsty Murray (2010) “India Dark.” Allen & Unwin Australia. Kevin Brownlow (1968) The Parade’s Gone By… University of California Press. Clay Djubal and others. The Australian Variety Theatre Archive: Popular Culture Archive 1850-1930. The inner Melbourne suburb of Fitzroy, looking north from St. Vincent’s hospital. Gertrude Street can be seen in the foreground. Author’s Collection. Although much of the suburb of Fitzroy has been redeveloped, many of the homes of the actors featured on this site still exist. The Melbourne online encyclopedia reminds us that Fitzroy was amongst the city’s first suburbs, land being auctioned in the area as early as 1839. So this concentration of creative personalities is not all that surprising. It was a small area with great contrasts in wealth, education and opportunity. A: The Academy of Mary Immaculate. Melbourne’s oldest girls’ school. Mary Maguire and her sisters attended this school from the early 1920s until the family moved to Brisbane in 1932. The girls lived at the family hotels in Bourke street, about two kilometres south. B: 120 Nicholson Street, Fitzroy. Birthplace in 1880 of Maie Saqui, daughter of well known Melbourne bookmaker Jack Saqui and a very young “Gaiety Girl” in the Charles Edwards company in London. Maie’s sisters Gladys and Hazel also had careers on stage. Maie died in England aged only 27. C: 168 Nicholson Street, Fitzroy. Home, briefly, to the mother of Saharet when she gave birth to another daughter, Julia (Millicent), in 1881. Saharet herself was born in Rowena Parade, Richmond in 1878, a few kilometres away. The building in Nicholson Street still stands. D: 56 Kerr Street, Fitzroy. Birthplace of Daphne Trott (Daphne Pollard) in 1891, and home to the large family through most of the 1890s. The modest terrace house still stands. E: The right arrow points to 431 George St, Fitzroy, where the Goulding family (Frank and Maggie, children Frank Junior, Alf and Irene) lived in 1895 – the year Maggie died. This building still stands. While Alf Goulding was born in nearby Richmond, the family appear to have lived most of their lives at various addresses in Fitzroy. The left arrow points to 25 Hanover Street, where Frank lived until his death in 1940, long after his son Alf had established himself as a director in Hollywood and his daughter Irene had moved away. This building was demolished sometime in the 1960s. F: Building and residence on the corner of King William and Brunswick Streets. The home of the Trott family in about 1900, as Daphne Trott (Daphne Pollard) began to travel the world. This building was demolished and the site is currently occupied by apartments and a supermarket. G: Birthplace of Florrie Forde – the former United Service Club Hotel at 122 Gertrude St, or possibly nearby at 203 Gertrude Street, formerly her grandparent’s shop and residence. Robert Greig was the quintessential movie butler of Hollywood’s golden age. He first appeared in the Marx Brothers “Animal Crackers” in 1930, playing the role of Hives the butler, followed by another twenty years of related roles – more butlers, doormen, stuffy judges and remote English lords. Various online biographies generally make no reference to the first fifty years of his life, or the significance of Beatrice Denver Holloway, his wife and on-stage collaborator for many years, who moved with him to the US in the late 1920s. Robert Greig was born in Toorak, Melbourne, Australia in December 1879. At birth, he was named Arthur Alfred Bede Greig. However, Robert Greig was his stage name and in life he was known as Bob or Bobbie to all who knew him well. After an education at Xavier College and some mundane experience working at Dunlop Tyres and as a commercial traveller, he became increasingly interested in amateur theatricals, and then, nearing the age of 30, made the transition to professional performer. He was offered a contract with the Hugh Ward Comedy Company, in 1909. He toured with them for a season, performing comedy roles in “The Man from Mexico” and “Mr Hopkins”. Beatrice and Bob met and first performed together in “Beauty and the Barge” in 1911. It was the start of a long and productive partnership. They married in December, 1912. It was a novelty wedding for the time – considerable press attention was given. Melbourne Punch ran full page photos of the wedding party which included Fred Niblo and Josephine Cohan – who had arrived from the US only six months before. They had met while preparing for George M Cohan’s “Get-Rich-Quick Wallingford,” which had its Australian premiere at the Criterion Theatre in Sydney, in August 1912. Niblo gave the bride away and was a witness. Beatrice and Bob’s wedding reception at the Oriental Hotel, Melbourne. Standing L-R; Tom Cochrane, Josephine Cohan, Fred Niblo. Seated L-R; Bertha Ballenger, Beatrice, Bob, Mrs Holloway (Constance Doerwyn) Source; Punch, 26 December, 1912 Via National Library of Australia, Trove. During Niblo and Cohan’s three years in Australia, they often worked with Beatrice and Bob, although apparently not on Niblo’s two Australian filmed versions of “Get-Rich-Quick Wallingford and Officer 666, made for J.C.Williamson’s in 1916. Bob stated a great admiration for American plays. “They are all about natural people…there is always a big, good-natured man in anything American,” he told Adelaide’s Critic in November 1913. As Elisabeth Kumm has noted, Australian theatre was already undergoing change even before the outbreak of World War One. After a brief hiatus in 1914, Australians flocked back to the theatres for escapism, and US comedies and performers filled some of the headline acts once dominated by British stars, now difficult to engage. In early 1918, Bob became Associate Director for the Tivoli theatre circuit. It seems the disruption of the War and attractive local contracts kept the couple busy in Australia for more than ten years, touring Australian towns and cities. Often under the banner of the Greig- Holloway Comedy Company the couple performed new plays like “Baby Mine” and familiar favourites including “Officer 666”. At left – Bob and Beatrice in 1918. Melbourne Punch, August 22, 1918. via National Library of Australia, Trove. With many friends and connections overseas, Bob and Beatrice often spoke of travelling to the United States, where both he and Beatrice felt sure they would find work. The demand in the US for Beatrice’s “style of work” was great, he once said. In fact, it was not until 1925 that they travelled to the US, and then it was Bob who appeared onstage at Philadephia’s Garrick Theatre in “A Night Out”, not Beatrice. Bob’s first Hollywood role was an important straight character role as Hives the Butler, in the 1930 Marx Brothers’ film “Animal Crackers”. Bob had played the same role in the Broadway musical production a year before. But aged in his 50s and by now, very overweight, he found himself consigned to playing similar roles in Hollywood films. An Australian newspaper report appeared in 1936, stating he was feeling typecast and had tried a trip to the UK to break the cycle. If this was so it didn’t work. In a career of more than 100 films, the movie butler became his signature role. A few years after settling in the US, Robert Greig had a refined transatlantic accent. In this short clip from Dorothy Arzner’s “Merrily We Go to Hell”(1932), Jerry Corbett (Frederic March) complains he can’t find a baritone. Bartender Robert Greig explains that he is one. By the time of the 1940 US census, he and Beatrice lived comfortably in an apartment on Franklin Avenue Los Angeles, living on a modest income from his films. Robert died in 1958, Beatrice in 1964. What became of Beatrice’s career aspirations we do not know. Robert Greig’s memorial plaque at Holy Cross Cemetery in Los Angeles. A sign of the couple’s enduring affection. The couple did not return to Australia and soon lost touch with their Australian admirers. One hopes that the couple lived a happy life. But one can’t help feeling that the “fondest memories” Beatrice referred to on Robert’s memorial were of the years before Hollywood. Elisabeth Kumm, Theatre in Melbourne 1914-1918, the best, the brightest and the latest. Enlargement of a photo of Sylvia Bremer, from Witzel Studios, Los Angeles. c 1918. Author’s Collection. Of course, Sylvia Bremer is not a forgotten Australian at all, I just wanted an excuse to include this photo from my collection! Ralph Marsden’s biography Who was Sylvia? was published in 2016 – making use of hitherto unseen private photos of Bremer – and including a great deal of painstaking new research. Copies are available from bookshops – also Amazon and ebay. 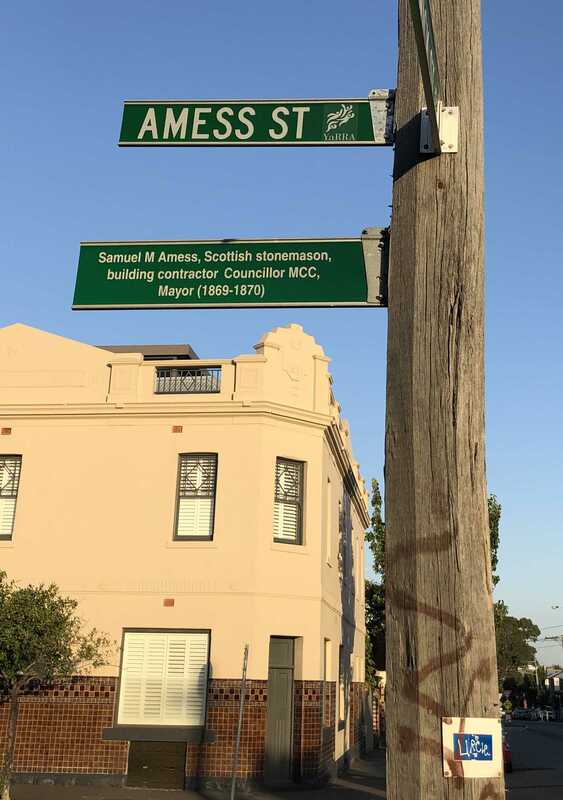 Bremer was born into a comfortable family home in Double Bay, a harbour-side suburb of Sydney, in June 1897. Following several years of stage work in Australia, in 1916 she travelled to the US with her first husband and there she stayed – her first film for Thomas H. Ince was The Pinch Hitter, released in 1917. But as Ralph Marsden recounts, her story was not a happy one at all. Her career in film did not last – it was over well before the coming of sound in 1927 (she made over 40 films in just ten years). She was active on stage from 1926 -1930, her performances with the Bainbridge Players in Minneapolis in late 1930 appear to be her last, except for a small role in the 1936 talkie Too Many Parents, a Paramount kid picture with Billy Lee and Frances Farmer. Possibly her widely published criticisms of the shallowness of work and life in Hollywood had not endeared her to key figures in the industry – including the powerful film producers who otherwise might have employed her. Here is part of Sylvia Breamer’s only scene in “Too Many Parents”(1936), as the mother of the insufferable Billy Miller (Billy Lee). Twenty years after arriving in the US, her accent is an English one. Copyright held by Universal films. She married three times, but each relationship ended acrimoniously or abruptly. There were no children from any of the marriages. This author can claim some small contribution to the unusually accurate Wikipedia article on her – I found and added her interview with Julian Johnson for Photoplay magazine in 1918. In this interview she tied herself in knots to emphasize (or exaggerate) her British naval connections. Her father was not a battle-ship captain as she claimed, but a hard working public servant. She was obviously sensitive to accusations of German ancestry, as only a year before, she had changed the spelling of her surname from Bremer to Breamer, apparently to make her sound less German in the midst of war. She died in New York aged only 45, in 1943. Perhaps one of the most moving photos in Marsden’s book is a grainy photo of Sylvia and her sister on the streets of New York, taken shortly before she died. Her passing appears to have gone unnoticed in Australia. Her mother, step father, sister and brother all moved to the US. For a time, her brother Jack worked as a cinematographer. Ralph L. Marsden (2016) Who was Sylvia? : a biography of Sylvia Breamer. With an introduction by Kevin Brownlow. Screencrafts Publications, Melbourne. Above left: The United Service Club Hotel on the corner of Young Street and Gertrude Street, about the time Florrie was born. Source the State Library of Victoria Picture Collection. At right: The very altered building today. Author’s collection. Florrie Forde was born Flora Flannagan in Fitzroy on 16 August 1875, to Lott Flannagan and Phoebe (Simmons). In time, she would become one of the great British Music Hall stars of the early twentieth century. A great deal has been written about her – she cannot be described as a forgotten Australian! Yet it perplexes the author that in a neighbourhood that also saw the births of Daphne Trott, Alf Goulding and Saharet, there is, today, no acknowledgment she was ever there. Part of Flora Flannagan’s birth certificate. She was very clearly named Flora, not “Florence” and without middle names “May Augusta” even if these were adopted later. Via Victoria Birth Deaths & Marriages. She was born at one of the family residences in Gertrude Street Fitzroy – the handsome but modest United Service Club Hotel run by her father at 88 (now 122) Gertrude Street being the most likely – although her birth certificate does not give a definitive address. However, in a very thorough survey of her early life in Australia, researcher Tony Martin Jones has suggested that instead of a noisy pub, her place of birth may have been at her maternal grandparents shop and residence nearby. Barnett and Susannah Simmons ran a crockery store at 181 (now 203) Gertrude Street. However, I think this is less likely – that building is only a few doors from an even larger, noisy pub – the Builder’s Arms. Unfortunately, we are now unlikely to ever know for sure. Florrie first appeared on stage in Sydney in early 1892, and quickly became a popular singer and performer in pantomime. By 1894 she was a regular performer in Sydney and Melbourne. In 1897 she made her first appearance in London – apparently playing three music halls in the one night. Left: Florrie Forde in about 1898, not long after her breakthrough on the stage in London. Source: The Sketch, Sept 21, 1898. At right – A postcard taken sometime later in, life, probably in the 1920s. Author’s Collection. A talented singer with an exceptional wit, she was supremely confident on stage and held a genuine affection for her audiences – music hall being her favourite. Her name is still connected with many of the music hall songs she made popular, such as the World War One favourites “A Long Long Way To Tipperary”, “Pack Up Your Troubles In Your Old Kit Bag” and “Has Anybody here seen Kelly.” She appeared as herself in several British films in the mid 1930s, and in character in “My Old Dutch” in 1934. Her Australian accent remained with her all her life, as the numerous recordings she made demonstrate. As theatre historian Frank Van Straten notes, she achieved all this without any formal musical training – a remarkable achievement. Jeff Brownrigg’s entry at the Australian Dictionary of Biography provides an account of her work and quite tumultuous, perhaps dysfunctional, upbringing. She worked all her life – dying suddenly after entertaining in a Scottish naval hospital in 1940. Obituaries in the UK and Australia were effusive. Florrie was very much the voice of the people, and apparently even Dame Nellie Melba was an admirer. 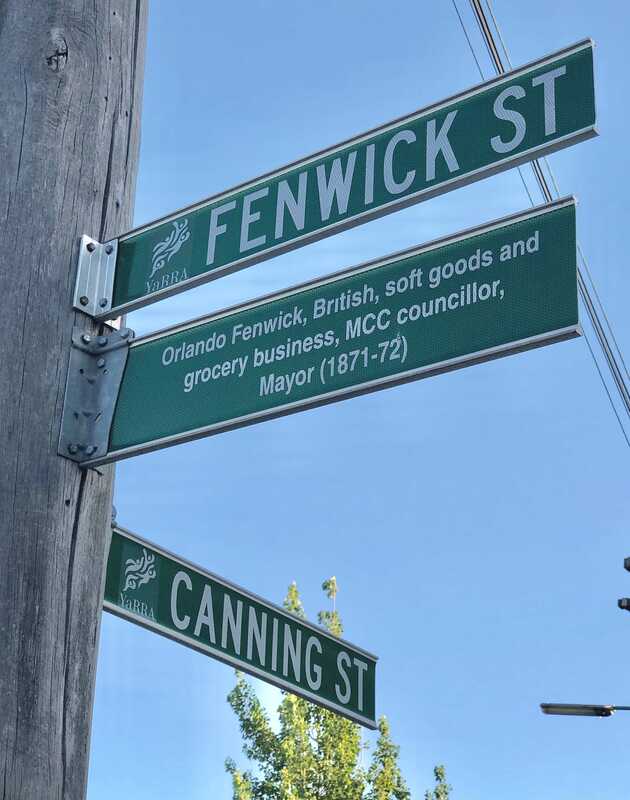 Explanatory signage for Orlando Fenwick and Samuel Amess, on streetsigns in nearby North Carlton. I’m certain they were honourable men, but where’s the similar sign for Florrie Forde!? Author’s collection. Norma Whalley is shown here at the height of her fame as an actress in the US and England. 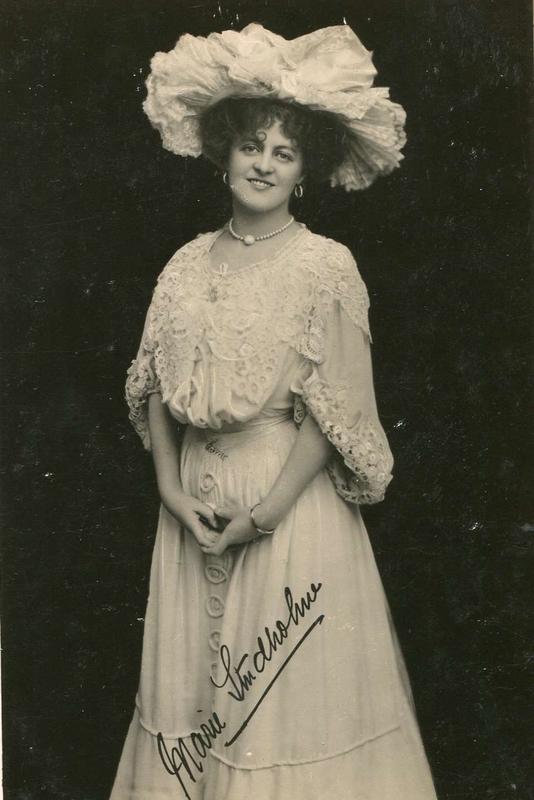 Big hair and extravagant headwear seems to have been the trademark of a “Gaiety Girl”. But we are no closer to knowing who she really was today than audiences were in 1900. Postcard in the author’s collection. Norma (or occasionally Normah) Whalley first appeared on the stage in New York in a minor role in the play In Town, in September 1897, a member of the Gaiety Theatre Company, brought over from the UK by George Edwardes. Edwardes had already had great success with other musicals – in particular A Gaiety Girl in 1893-4. Under-studying for Marie Studholme, Norma appeared in a leading role soon after arriving, when Studholme became unable to perform due to “lameness.” The term “Gaiety Girl” was to become a popular phrase to describe some of the young, glamorous British female performers, most often members of Edwardes’ company at some time. Like Norma, the Gaiety Girls could sing and dance, and were adept at “light comedy.” All presented as well-mannered and well dressed, purportedly representing modern womanhood, and they apparently dazzled audiences wherever they went. Edwardes seems to have chosen his female cast members deliberately to have that effect. His pioneering efforts to establish musical comedy were successful and helped establish the genre we know today. Of her past, Whalley was always vague. In 1899 she was to claim that she had toured South Africa soon after the Jameson Raid (January 1896) and met President Kruger. He was a “squatty, ugly old man…devoid of manners.” Unfortunately, its impossible to track anything of her life before 1897. Left: George Edwardes c1900. Source; James Jupp (1923) “The Gaiety stage door; thirty years’ reminiscences of the theatre”. Via the Internet Archive. Born in the mid to late 1870s, Norma Whalley was supposedly the daughter of the “late Henry Octavius Whalley, a well-known physician of Sydney.” Other accounts state it was Melbourne. But equally likely, it was neither. Despite this claim being repeated ad nauseam in biographies of her (all of which cross-reference to each other or the same few newspaper sources), there is simply no evidence of a person called Henry Octavius Whalley living in Melbourne or Sydney in the mid to late nineteenth century. Not only did Australian newspapers of the time not mention him, but census records and shipping records make no mention of him either. And most importantly, no one of this name appears in any of the usually reliable Sands directories for Sydney and Melbourne produced between 1860 and 1900. And there are just nine recorded births of a child called Norma in Sydney between 1870 and 1880 – and just four females born with the surname Whalley – but none called Norma Whalley. And there is, similarly, no matching child in the Melbourne birth records. The usually comprehensive history of Australian actors by Hal Porter (produced in 1965 – when many of his subjects were still alive) provides no information. Norma Whalley’s identity seems to have been deliberately obscured. There is nothing to verify that she was Australian at all, except her word. Perhaps like Saharet she wished to obscure a humble birth, or maybe an impetuous marriage gone wrong or an embarrassing parent. What better way to stay in command of one’s destiny than create an interesting but deceased father on the other side of the world! After her successful season in New York, in January 1898 she returned to London on the S.S. St Louis with Studholme and some of the other Gaiety company members. Later contracted to George Lederer, she was back in New York again by March 1899, performing in The Man in the Moon, “a spectacular fantasy in three acts.” It ran successfully for some months at the New York Theatre, although not everyone was enthused with its four-hour running time or her performance (see Brooklyn Life, 10 June 1899 for example). Her involvement in this production came to a sudden end when she was dismissed for breaking character and chatting to a friend or admirer in the audience, during a performance in late September. But within a month, she had teamed up with Walter Jones, a popular “tramp “comedian, touring cities in the US. The partnership was both personal and professional, but it too came to a sudden end in July 1900 when Jones suddenly left to marry a wealthy widow. Nevertheless, her popularity was at its height by mid 1900 and for the first time she mentioned her Australian birth to inquisitive US journalists. 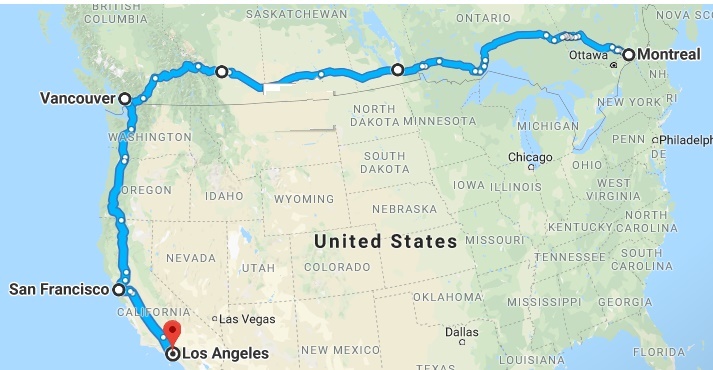 Dunne and Ryley’s troupe traveled all over the US, headlined by Mathews and Bulger. Norma Whalley and Walter Jones are listed in the cast in this advertisement from Montana’s Butte Daily Post, 15 May 1900. Via newspapers.com. Soon after, it was announced that she was engaged to another performer – James “Sherry” Mathews, one half of the comedy team Mathews and Bulger. They married in New York on 29 March 1901. Here, on the marriage licence, she recorded her birthplace as Sydney, Australia, and her age as 22. Her mother was listed as Mary J Rayson, her father “Harry”. 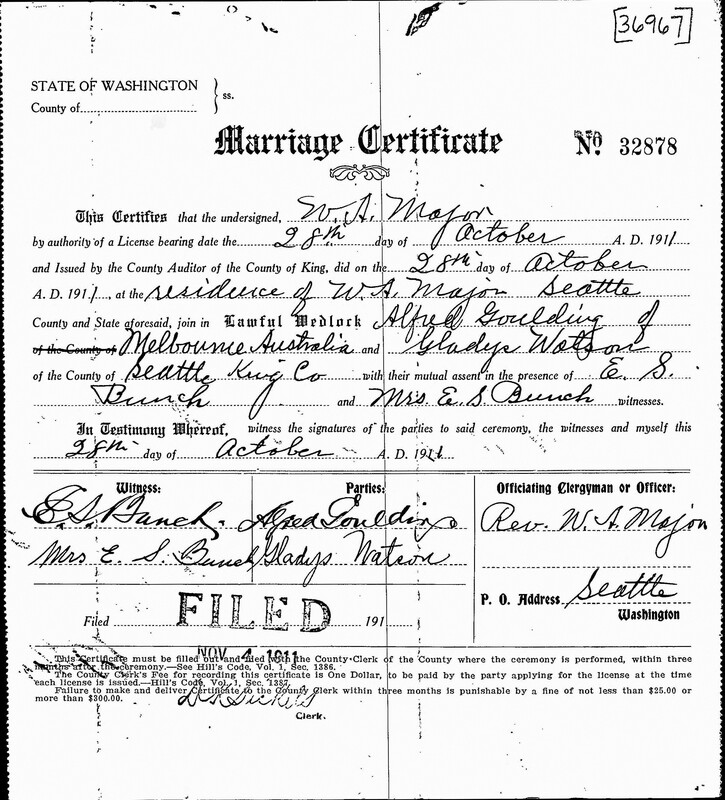 Intriguingly, she was also recorded on the marriage certificate as divorced – hinting at another, earlier marriage. Unfortunately the relationship with Sherry Mathews also failed. He was already ill in 1901 and suffered a stroke in mid 1902, and was severely incapacitated, being admitted to Sterne’s Sanatorium in Indianapolis, one of the most exclusive that could be found. Norma was at first praised for caring for him, but then came in for savage press criticism, particularly after she sued for a divorce in 1904, officially on the grounds that Mathews had deceived her about his state of health. The Broadway Weekly of 26 May 1904 even suggested that she was responsible for breaking up the Mathews and Bulger team and that when Mathews became ill, she was one of the first to desert him. Norma had indeed left the US to perform in England in September 1902, in productions that included George Edwarde’s new musical The School Girl (where she was in company with other familiar Gaiety girls – Edna May, Marie Studholme, Violet Cameron, Marianne Caldwell and Billie Burke). Following the granting of her divorce, she married London lawyer (Edward) Percival Clarke, the son of barrister Sir Edward George Clarke. Percival Clarke followed his father into the law and was knighted in 1931. Norma Whalley in “The School Girl,” with G.P Huntley as Sir Ormesby St. Leger. The musical ran at London’s Prince of Wales Theatre from May 1903. Postcard in the Author’s Collection. With the publicity surrounding her 1904 marriage, the Australian dimension to her story was finally picked up by the Australian press. Unfortunately, these accounts were not well researched or accurate – it was now that the story of the “late Henry Octavius Whalley, the well-known physician of Sydney” was introduced and gained currency. It was also claimed that she had once been a popular comedienne in Sydney. Perhaps she was, but it’s hard to believe there are no existing records to confirm this. Following her marriage to Clarke, she did not retire from the stage, as Australian newspapers predicted, but she did become more selective with roles. For example, she appeared as Mrs. Fergusson, the wicked husband-stealer, in W. Somerset Maugham‘s new comedy “Penelope” in 1909 and in J.B. Fagan’s play Bella Donna, in 1916. In 1915 British society magazine Tatler reported she was going into nursing to support the war effort, accompanied by a serious picture of Norma in a nurse’s uniform. This may explain why she disappeared for the later part of World War One. Above: Norma Whalley and Graham Browne in ‘Penelope.’ “Now what does all this mean?”she demands. Postcard signed by Whalley in the author’s collection. Dover Street Studios. Between 1920 and 1926 she appeared in regular supporting roles in at least 16 British silent films. Women and Diamonds, made in 1924 with Victor McLaglen and Madge Stuart, appears to be the last of these. She later appeared in a few small character parts in the first years of sound film. We can only guess, but it seems that film work was an after-thought to a successful stage career, not something she aspired to do for the rest of her life. By the time she traveled to Cairo to appear in the 1934 Michael Balcon comedy-adventure The Camels are Coming, she was almost 60, and had been performing for almost 40 years. Her persona was well and truly British, as her role in this film demonstrates. Listen to her voice in this scene, which takes place outside the famous Shepheard’s Hotel. Norma, as a stereotypical British tourist, is escorting her daughter (Peggy Simpson) around the sights of Cairo when she runs into a bogus guide. If she ever was Australian born, one would not guess so from this voice. One of Norma Whalley’s final roles in the Gaumount British adventure-comedy, “The Camels Are Coming “(1934). Source: VHS copy in the author’s collection. Sir Percival Clarke died suddenly in 1936. Norma, now Lady Clarke, remarried in 1940, this time to John Beauchamp Salter. When she died at her home in Grosvenor Square in London, in October 1954, she left a significant estate. There were no children from any of her marriages. A few reports in later life and British obituaries on her death noted her Australian birth. However these were more concerned to comment that Lady Clarke had “married well,” like some other Gaiety Girls. There were no Australian obituaries. Other Gaiety Girls who “did well” for themselves in marriage. Left: Zena Dare, who after marriage became Lady Maurice Brett. Centre – New York born Edna May who married millionaire Oscar Lewisohn. Right Denise Orme who became the Duchess of Leinster. Postcards in the author’s collection. The story that Norma Whalley had an early marriage to actor Charles Verner (really Charles E.V.Finlay 1848-1926) appears in a few accounts in Californian papers after her 1904 marriage to Percival Clarke. Verner himself appears to have claimed so. Despite the significant age difference it is possible. However, so far, there is no supporting evidence of this and it may just be a muddled-up account based around Verner’s real 1878 marriage in Melbourne to actress Mary Hendrickson, which ended in a very messy US divorce in 1888. The mystery of Norma’s origins remained well into the 20th century. Norma’s mother Mary died at her cottage in Church Rd, Whitstable in June 1932. The Whitstable Times and Herne Bay Herald reported her death, and the fact she was the widow of the “late Henry Octavius Whalley” of Melbourne Australia. “Walter Jones and Norma Whalley at the Orpheum.” Los Angeles Times, 1 April, 1900. Researcher and performer Trav S.D has documented the Mathews and Bulger story.